Astrocytoma – it is a glial cell tumor that originates in connective tissue cells known as astrocytes. This type of brain tumor is most frequently seen in children and young adults. Astrocytomas can be distinguished by high-grade tumors and low-grade tumors. In children, astrocytoma is mainly found in the cerebellum. This type is known as cerebellar astrocytoma. Symptoms of cerebellar astrocytoma include increased intracranial pressure, headaches and vomiting. There may be also difficulty in walking and coordination. Symptoms in adults include elevated intracranial pressure, seizures and behavioral changes. Brain stem glioma – it is a glioma tumor in the brain stem. Surgical treatment is usually not an option because the brain stem controls vital functions in the body. This type of brain tumor most commonly affects children. Symptoms of brain stem glioma include double vision, balance abnormalities and weakness of one side of the body. Ependymoma – it is a glial cell tumor that originates in the spinal cord or in the lining of the ventricles. Ependymoma is common in children below 10 years of age. 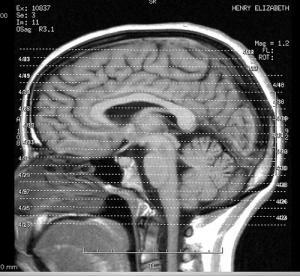 In children, this type of tumor is usually located near the cerebellum. This is a slow growing brain tumor featured by the elevated intracranial pressure. Optic nerve glioma – this type of brain tumor affects the optic nerve. It is common in people suffering from neurofibromatosis. Symptoms of optic nerve glioma include hormone problems and loss of vision. Oligodendroglioma – The tumor is usually located in the cerebrum. This type of brain tumor is followed by headaches, seizures, weakness and changes in behavior. Metastatic tumor is the most common type of brain tumor in adults. It occurs when cancer that originates in the other parts of the body spreads to the brain. They are usually caused by lung, breast, colon and skin cancer. Metastatic tumors mainly affect the cerebral hemispheres in the brain and are very aggressive. Meningioma is a commonly benign type of brain tumor that originates in the meninges, the outer covering of the brain. It is usually diagnosed in adults aged between 40 and 50 years. They are slow growing and often successfully treated. However, this type of brain tumor may sometimes recur or turn malignant. Schwannomas are also benign and resemble meningiomas. They are usually found on the nerves that control balance and hearing. This type of brain tumor is associated with hearing loss, poor balance and weakness in one side of the face. Schwannoma is hard to treat surgically due to its locations but instead it is usually treated with radiation. Pituitary tumor originates in the pituitary gland. The pituitary gland is responsible for hormone production and function of other endocrine glands. Symptoms of pituitary tumors are typically hormonal problems and thyroid problems. However, this type of tumor is usually benign and can be treated with medications or can be surgically removed. What side effects can I expect after whole brain radiation?